There are many special occasions where couples can celebrate their love. In those days it is common for couples to give gifts to each other as a way to demonstrate the immense love they have. An excellent way to show your love is through virtual cards. On the Internet there are many webs that you can visit to look for a card, attach an autograph and send it to the person you love. 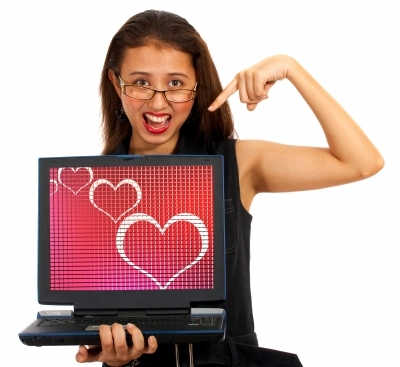 In this section we discuss the best websites dedicated to sending virtual cards for lovers. Remember that these sites let you customize your card with pictures, autographs and completely free. On the website of Muy Libre you will find hundreds and thousands of virtual cards with which to express your love. It is a free site and allows you to download cards and postcards in GIF and JPEG, if you want some just copy and paste it in the destination folder. The Correo Mágico website have almost infinite love pictures and cards for any occasion. If you have a clear idea of what you are looking for you will find a lot of categories of cards which will help you find the one you like the most. Among the most popular, we can find birthday cards, greeting cards to print and even animations. You can customize your cards by placing a dedication of your authorship or any image you want to place. In Gratis Todo site you can download all the postcards of love you want, for this you can copy and paste. On this website you will find different types of categories such as Valentine’s Day, lovers, partners and others. You will find the list of categories on the left side of the page. Postal Virtual is a web site dedicated to sending virtual cards. You can also find a list of categories that will allow you to see the content you are looking for. Once you find the image that you like to put in your zip, you can click to see it in full size and fill the data requested to forward it to the person you love. Here are the most original and funny love greeting. Find the card you like most, select and complete the information requested.